Discussion in 'General' started by Big Unit, Nov 7, 2018. Hey guys. Was wondering if you can enlighten me on how you guys winterize your bikes. Does anyone use fuel stabilizer? Or just hop on your scoot periodically and let the juices flow through the lines? We aren't down long enough here in southeast Virginia to worry about it. I do run gas with no ethanol though. 1. Over inflate the tires. This way there is a smaller flat area that is going to heat up anyway and the flat spot is gone. 2. There is usually a service/drain/season screw at the bottom of the carb. Keep that open and let it drain out the fuel. Place a note on the gas cap saying to tighten screw before firing up. This way the evap is dry and cleaned at all corners. 3. Drain gas from tank and install into the car. Pour in AFT into the tank, cover opening with a cloth and seal the air hose you are about to mist the whole tank with an oil coating, especially at the ceiling due to condensation. That, or drain, leave gas cap loose so the evap dries in the tank. 4. With plugs out, a can of chain lube, 3-in-1 oil in a spray container, roll the bike in top gear. Look in the plug hole and wait to see each valve open. Spray the valves with oil. The leftover is going to drop down on the piston and coat the rings so they don't stick. Cylinder will will be coated when you keep spraying the valves and that will be your final spray coating the walls/valves/rings. Never start it till next season. 5. Pull the ground off the battery. Charge battery with a smart charger [type]. 6. Change all oils before you store it and then follow 1 thru 5.. Get the oil hot and dump it then. Change to a new oil filter. Top off the oil level. Covering bike will cause condensation, especially if the washer/dryer is in the same room with the bike. Apply AFT to the chrome and fork tubes, so no pitting occurs on the finish. Reddickracing, francoblay1, pknowles and 1 other person like this. Thx for the info. It is garage kept so no need for cover. No washer or dryer or anything like that in garage. You’re lucky. Here in New Jersey. Hasnt been bad weather thus far. But I think I’m pretty much done for the season. When it gets too awful cold and nasty to ride, I just start it up every weekend and let it get warmed up real good. Seems like every time I walk by the thing, I find something else on it that needs shined up, so that gets taken care of often enough. Works for me! PAUL NOBBS, francoblay1, Big Unit and 1 other person like this. i don't like when its freezing cold but ill find a decent day here and there to get out and do a few mile loop. 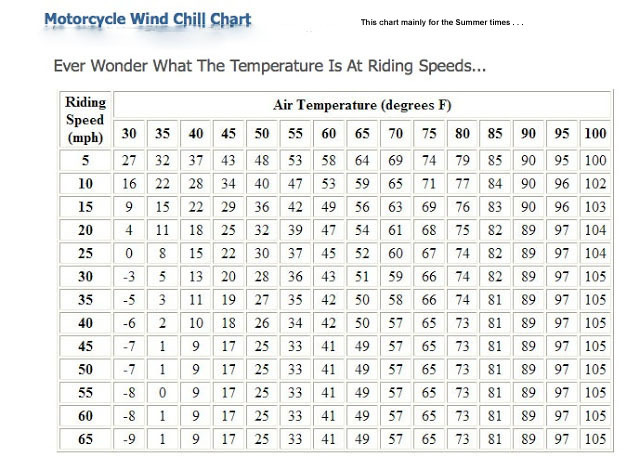 and dont forget the wind chill effect. Reddickracing and pknowles like this. I keep mine in a heated garage on a carpet, covered with a 100% cotton sheet (to keep the dust off) Battery kept on a tender and fuel stabilizer. I don't start them to often. If you don't run them long enough to really reach operating temp its not good for the inners. If its a sunny day I sometimes pull them out in the driveway and let them run for awhile. Ok. This is what I’ve always done to my other bikes. Being as though this is my 1st BD, wasn’t sure if there were any other tricks or things I had to stay on top of during the off season. I top off the tank and run the bike (Carb) out of gas. Tender it and cover till spring. Boy, I'm glad I don't do anything different down here! Big Unit and Reddickracing like this. what?, RBennet, Big Unit and 1 other person like this. Ethanol-free gas and mine really isn't parked that long here in Virginia, I keep a sheet and a cover over it, just for dust basically. pknowles and Big Unit like this. Keep it in climate controlled garage, add fuel stabilizer, cover on, bike elevated (keep wheels off the floor), battery on a tender. Do you take battery out or leave it in? I leave my battery in, my garage is climate controlled.. 73* all winter long. I’ve heard this before but I don’t get it. Why does it have to be elevated? If your worried about flat spots on a tire, then move it around! bdm7250, Big Unit and pknowles like this. Big Unit and pknowles like this.